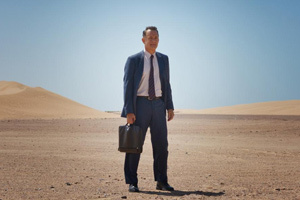 Tom Hanks, Sarita Choudhury and Omar Elba star in the dramedy Hologram for the King, based on Dave Eggers’ 2012 novel of the same name. Watch the movie trailer below. The story centers on failed American businessman Alan Clay (Hanks), who looks to recoup his losses by traveling to Saudi Arabia and selling his idea to a wealthy monarch. The story takes place far away from the recession-weary USA, as an up-and-coming Saudi Arabian city provides the backdrop for foundering American businessman Alan Clay’s (Hanks) last-ditch effort to stave off bankruptcy, pay his daughter’s college fees, and finally accomplish something big. 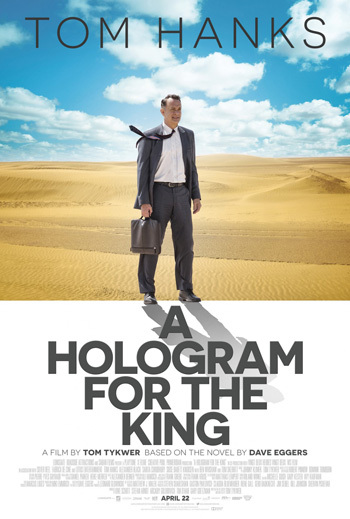 A “Hologram for the King” recounts the journey of a man, who has lost almost everything, to a country that requires him to rise to completely unknown challenges – and that answers old questions in new and unexpected ways.